Mom with a Dandelion in Her Hair: Screen Time Alternative! 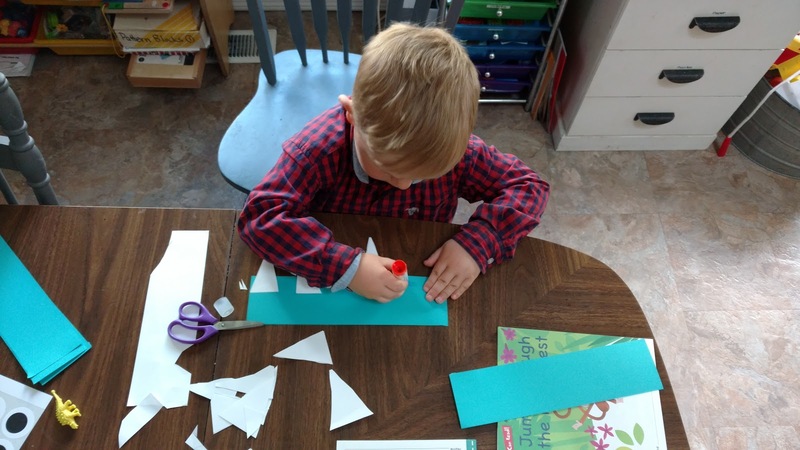 If you have a child in your home between the ages of 2 to 6 years old, I can not recommend enough, for you to have a box of Mother Goose Time preschool curriculum. Even if they go to preschool, daycare or Kindergarten. It's a great, and easy, alternative to screen time. I am a Mother Goose Time Blog Ambassador and I do receive this curriculum for free in exchange for writing about our use of the curriculum. That being said, I get no commission or reward when people who read my blog buy a box of MGT. My reason for sharing is simple, this curriculum, has had a huge positive impact on my family. As a new Mother, I had no idea what my children were capable of, but Mother Goose Time did! They gave us countless "Mother Goose Moments" that I am SO thankful for, even more so now that my oldest is 9, and my middle son is 7! I have had a box of January's Dinosaur Dig sitting on our dining room floor for months now. This morning, Adam (age 4) and I had some one on one time as his older brothers and Dad were on an outing. I have always wanted to make my time with the kids count, even before going back to work, but even more so now. Our time together in the evenings and weekends is so important. Of course, I still have all the house work and chores to do and less time to do them in, so I can't give them my full attention, all the time. Please don't let this make you feel guilty. My kids spend plenty of time watching cartoons, playing video games or playing on their own while I get stuff done. But when I do have an opportunity, like this morning, I will quickly run out of ideas, especially out of ideas that don't cost money. Because of course going out to eat or shopping is a lot of fun, but it adds up! Just when I am about to say "okay Adam, let's put some cartoons on" (because Mommy is out of ideas and wants to get chores done) I remember that box of Mother Goose Time. But it's not just a screen time alternative in this situation alone. The MGT activities can easily be set out in an investigation station style and your child can discover the activity and play independently. Often it will launch their imaginations into a new direction and keep them engaged and entertained for a nice stretch of time. Today we lengthened our one on one time and got out day 12 to learn about Dinosaur Heads. 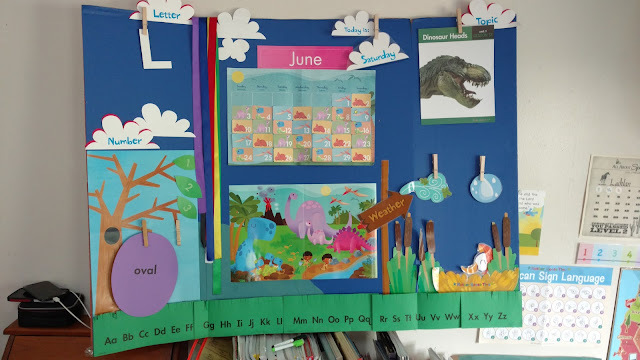 I set up the calendar for June and we sang the days of the week and months of the year song as he worked hard at cutting out his dinosaur teeth. These calendar pieces work just as well for June as they do for January! Instead of attaching the calendar pieces permanently, I use something that can stick and re-stick. Then he glued the teeth on. Carefully placing the tooth where he wanted and then lifting it back up, putting the glue down and sticking it on. When the dino headband was fully constructed he put it on and turned into a dinosaur, it was SO scary! After filming this little video I realized he had not eaten breakfast yet. I was trying to feed him cereal but he said he couldn't eat it because he only ate meat. Oh my! But if you notice, with in that role playing is a lot of knowledge. He knows that dinos with sharp teeth eat meat, that's something! After he ate some cereal, I did finally convince him, we did some graphing! Yep, graphing. It was math, but he didn't know that! He rolled the dino die, looked to see what kind of dino he rolled, then placed a penny on the chart. As the pennies added up on the chart we talked about which one had the most rolls, which ones were the same which one had the least. These words are all math terms. 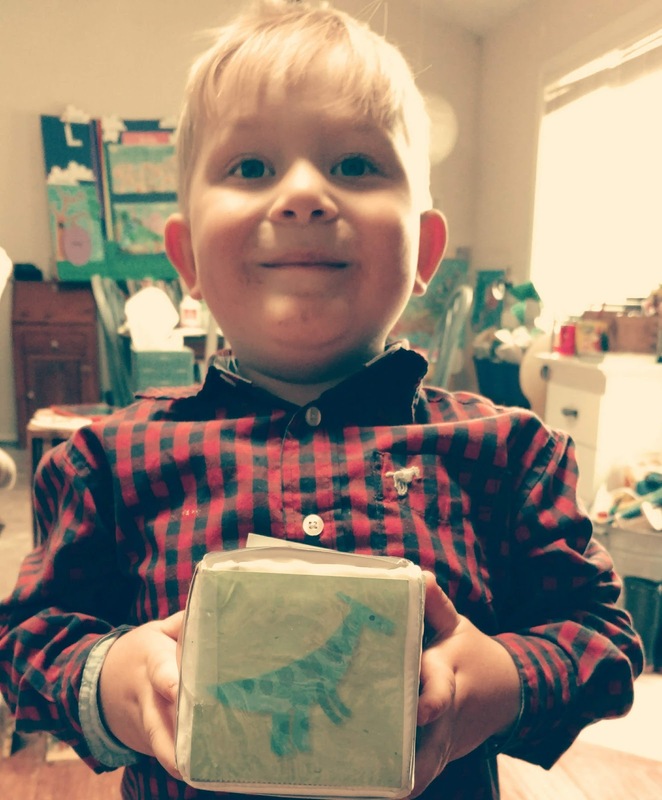 I didn't even get pictures of the pattern he made using the dinosaur manipulatives. But as you can see, we had a lot of fun, playing and learning and avoiding screen time! Please, please, trust me when I say, they grow up fast and life can change in a blink of the eye. Don't take for granted these precious and silly toddler/preschool years. Squeeze as many moments like these in as you can!